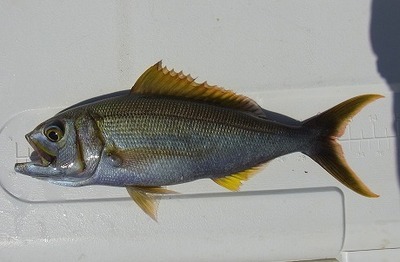 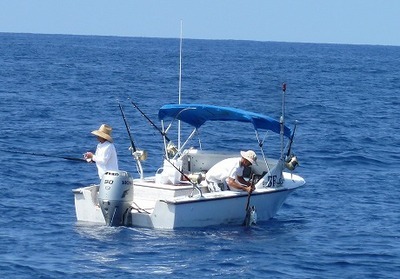 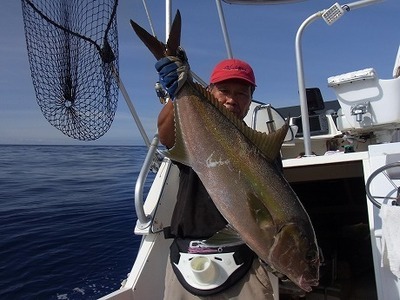 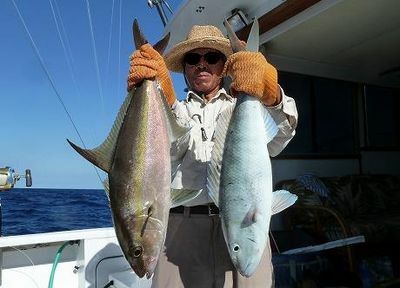 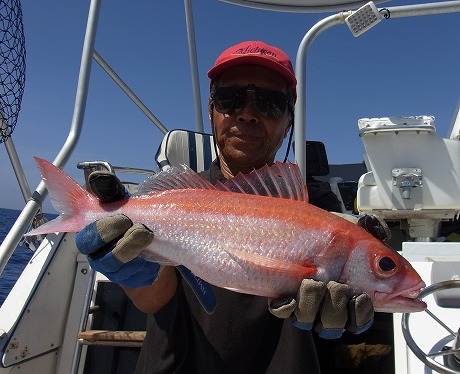 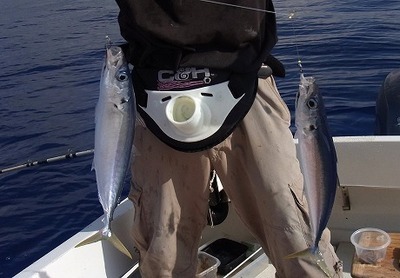 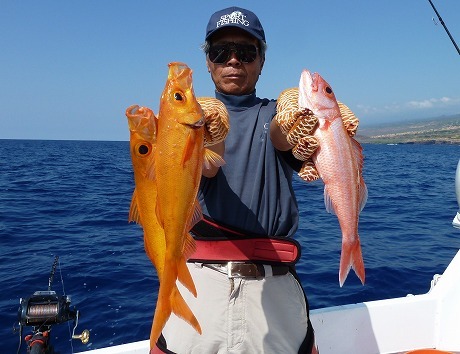 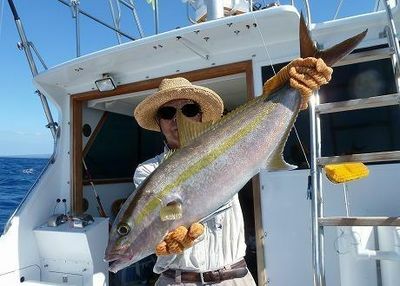 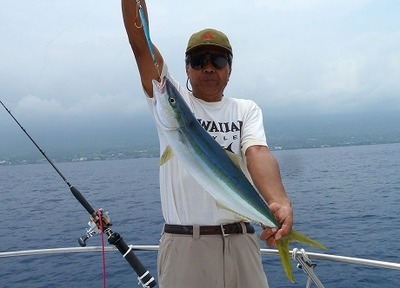 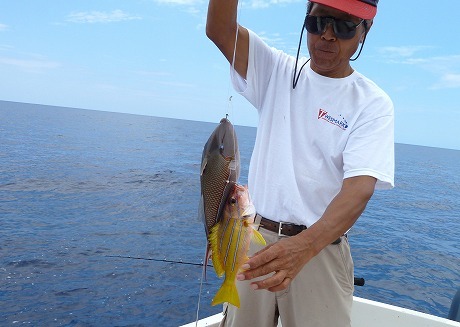 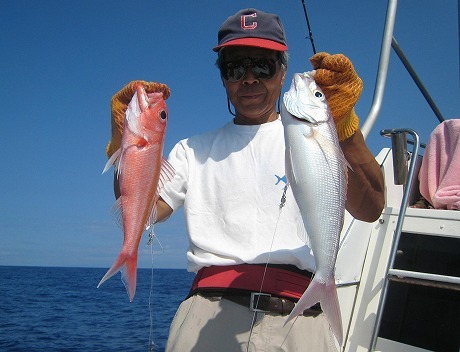 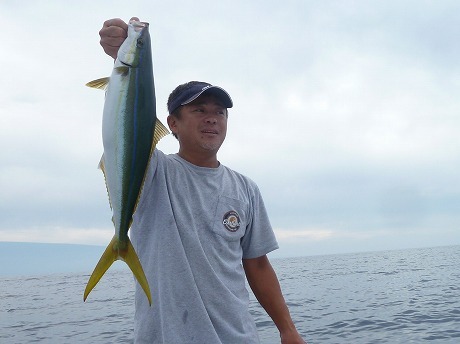 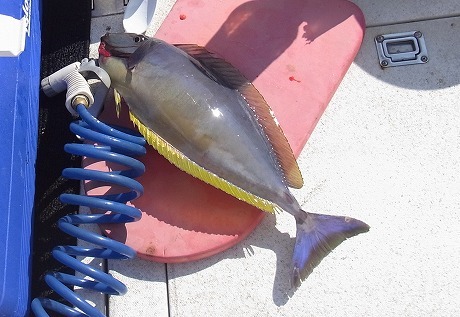 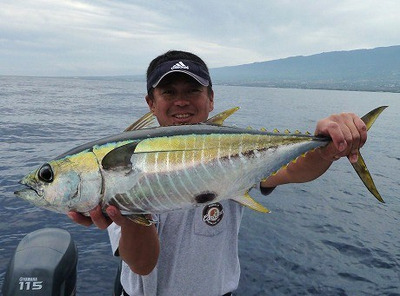 ＜We caught this Yellowfin tuna by trolling. 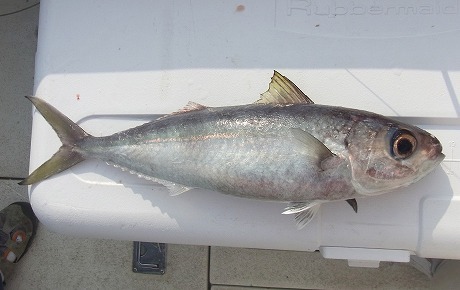 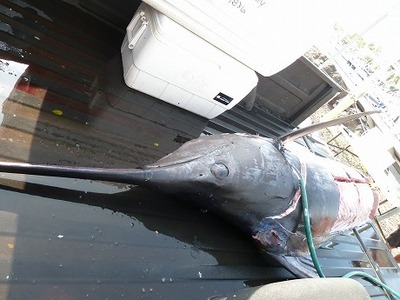 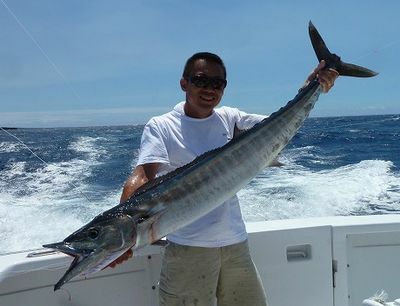 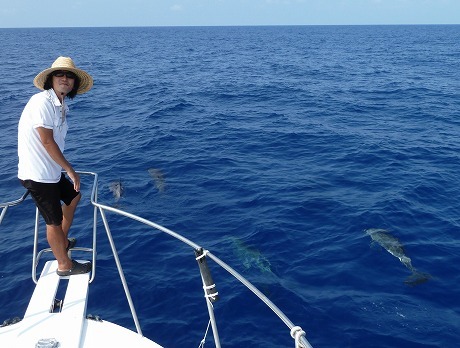 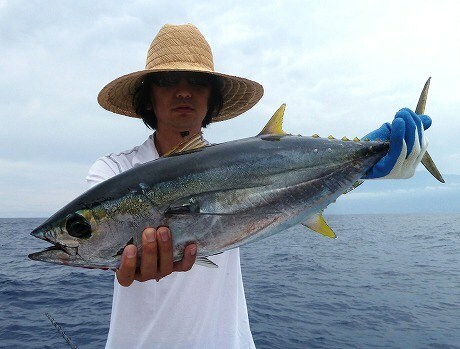 It has been a while since we caught a Tuna on my boat. 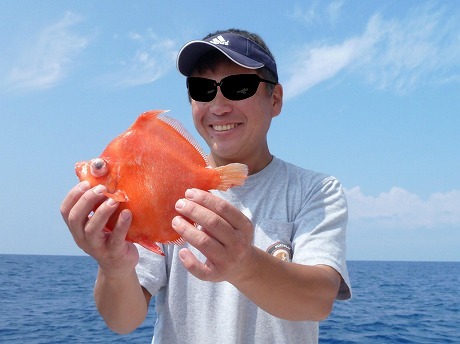 Ys-san, good job ! 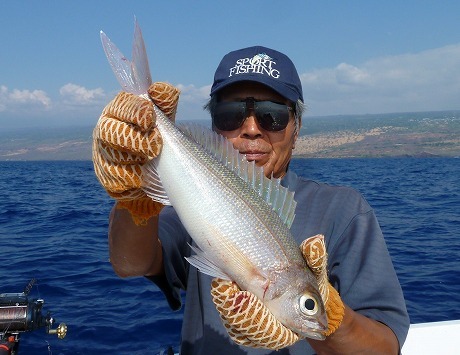 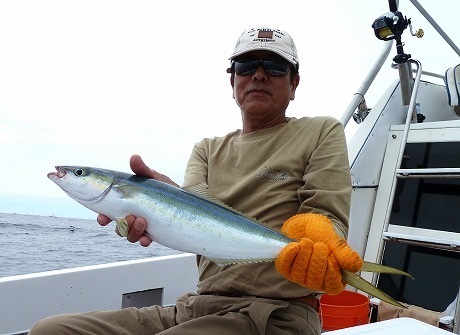 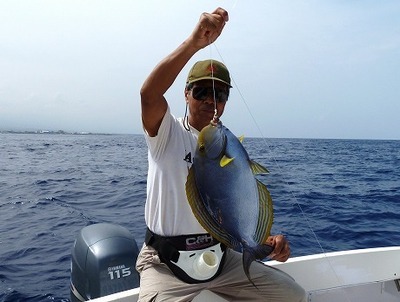 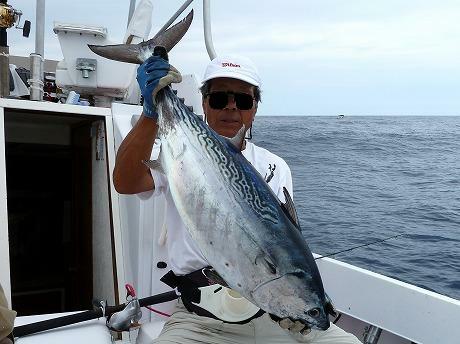 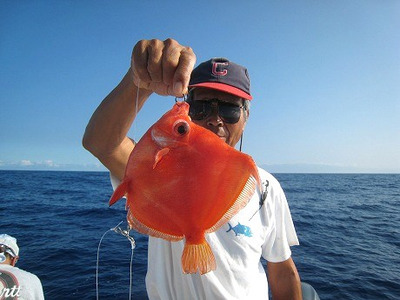 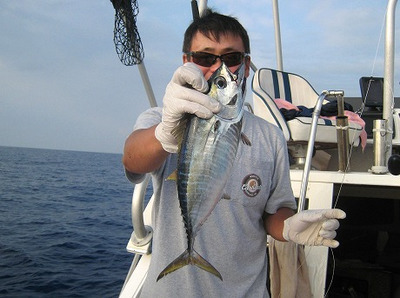 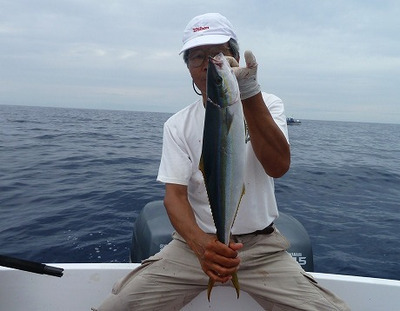 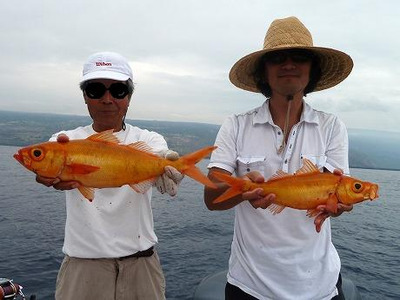 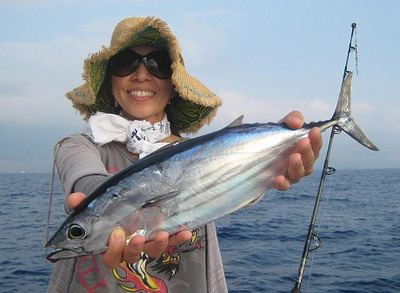 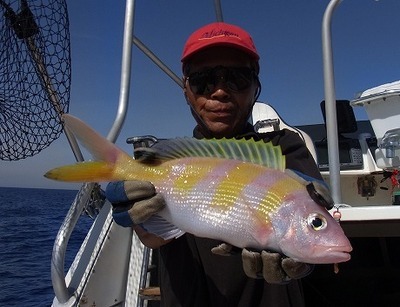 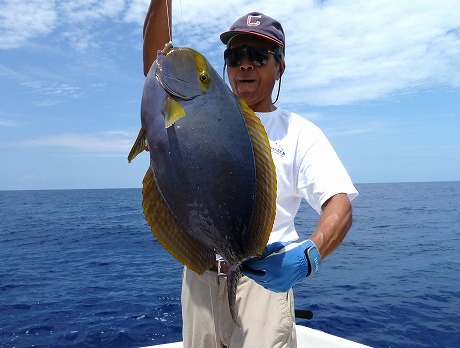 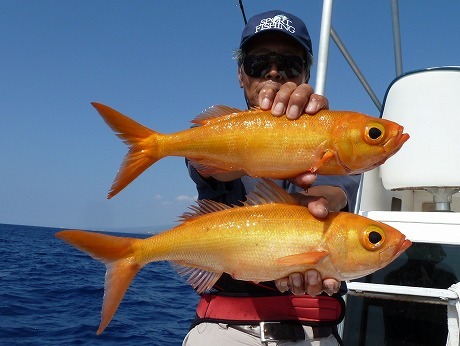 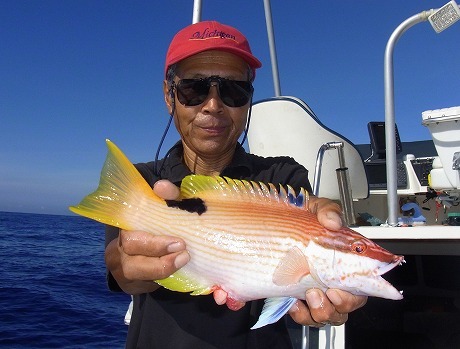 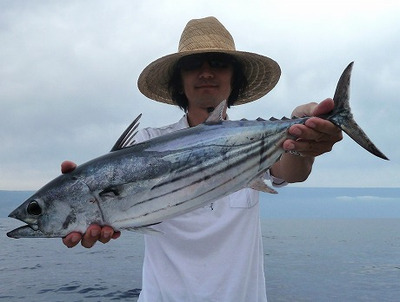 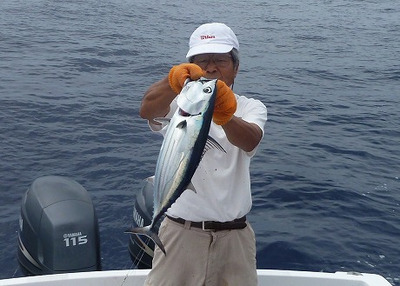 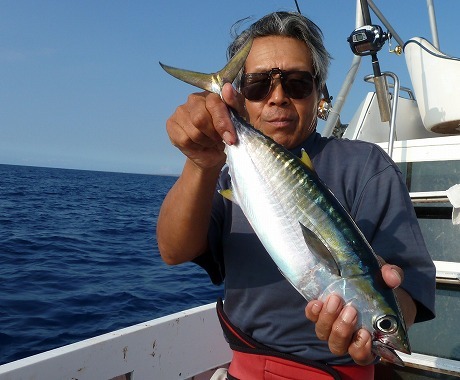 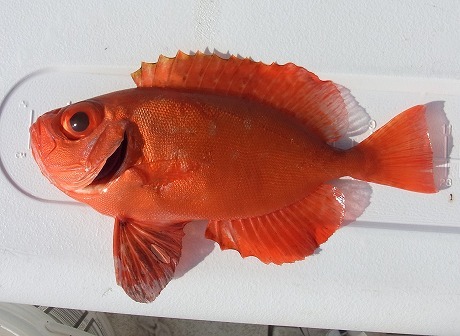 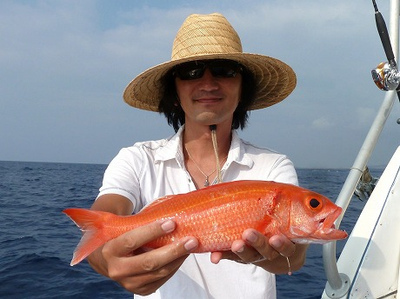 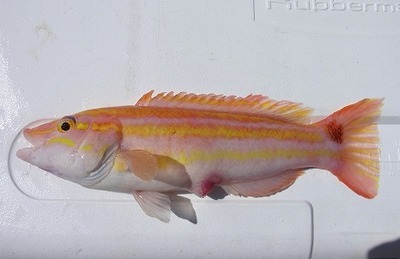 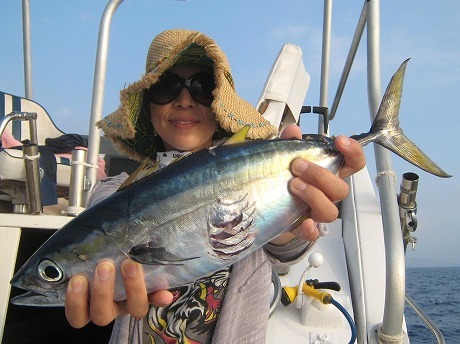 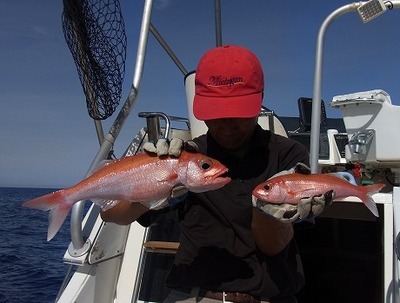 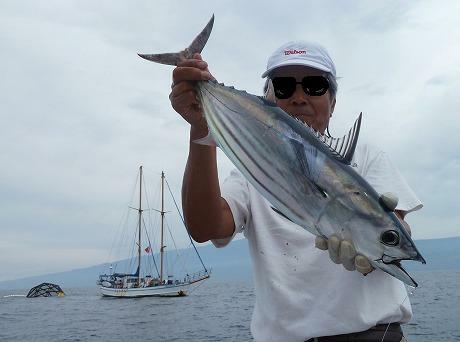 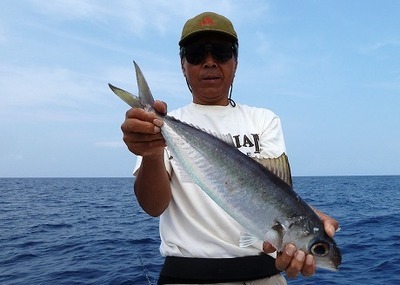 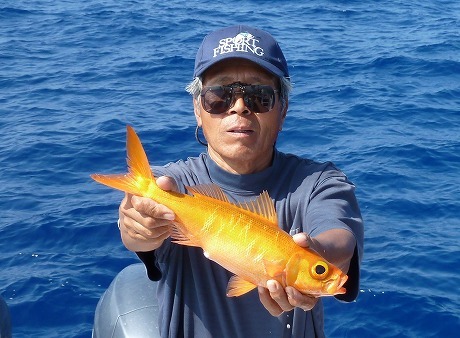 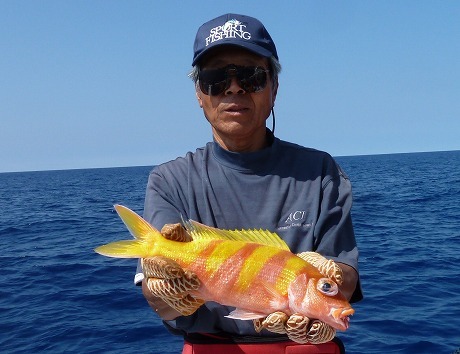 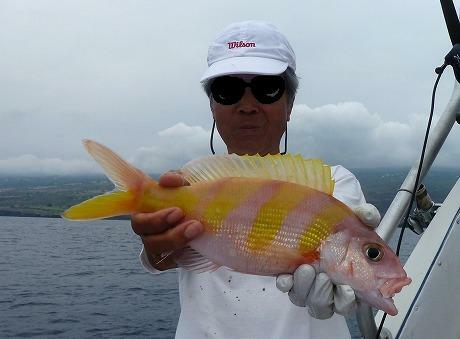 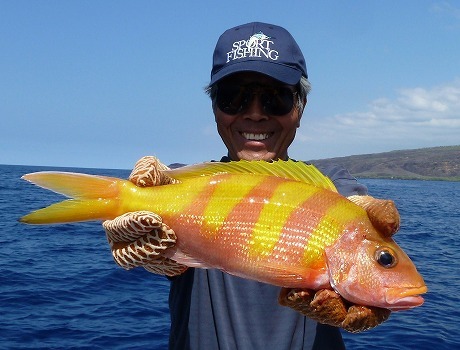 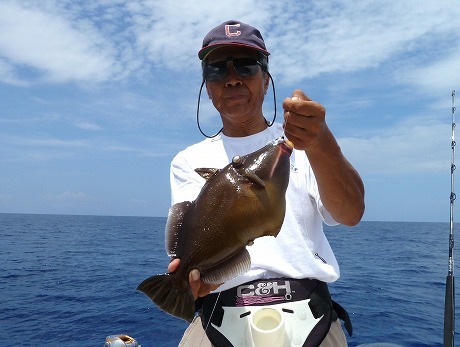 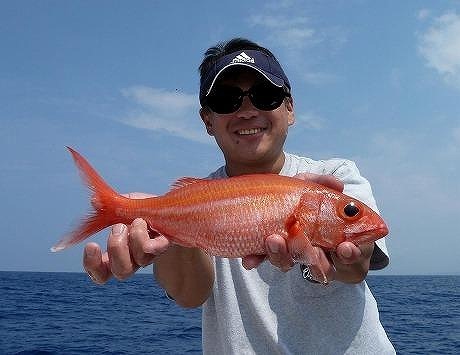 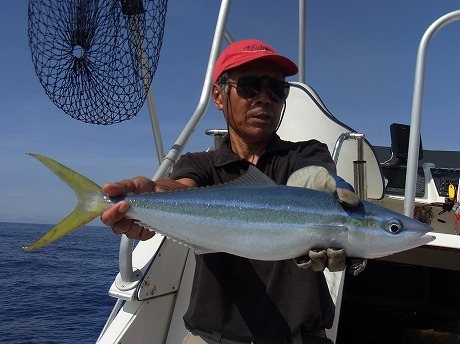 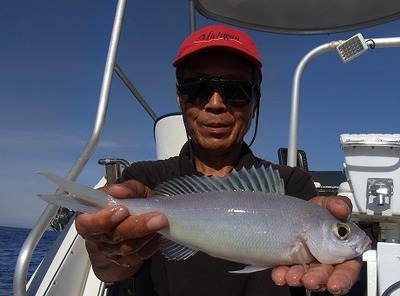 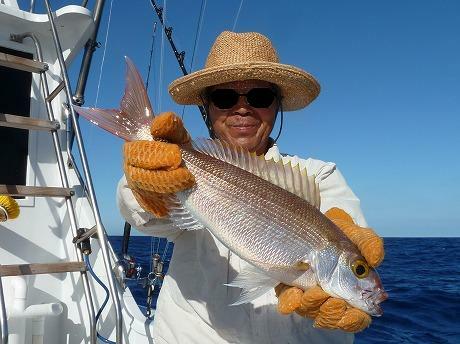 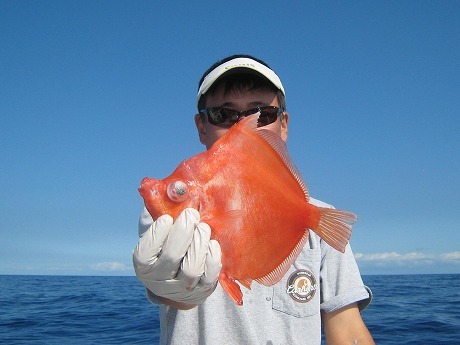 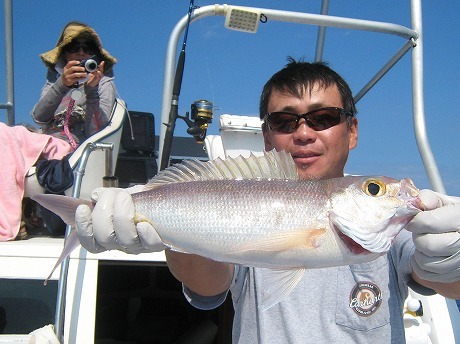 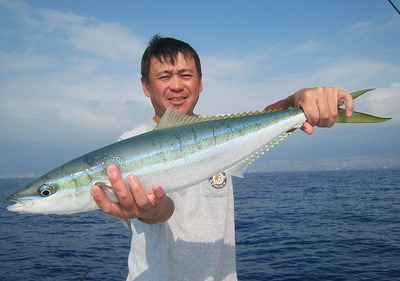 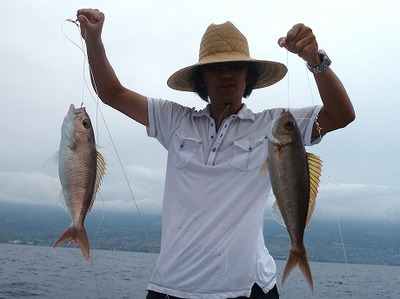 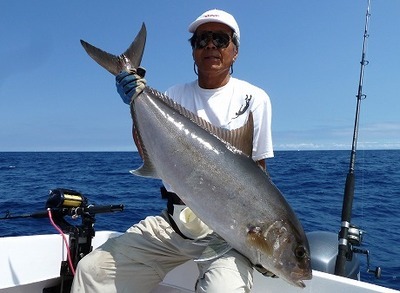 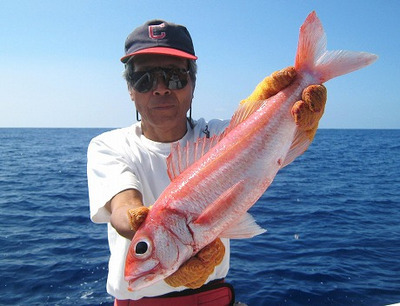 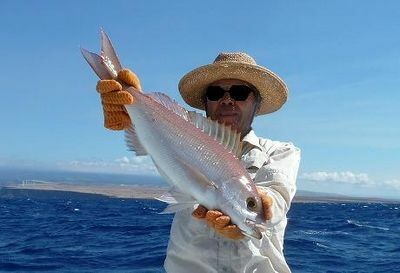 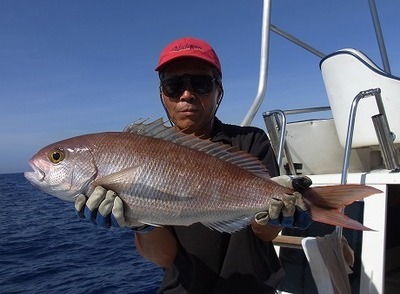 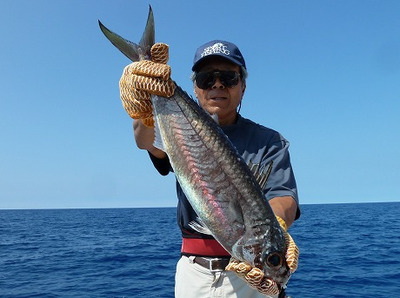 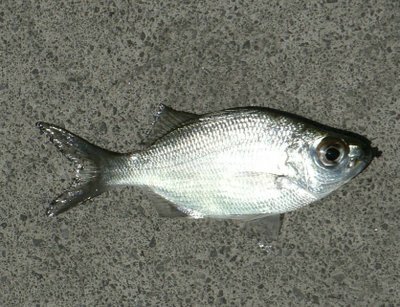 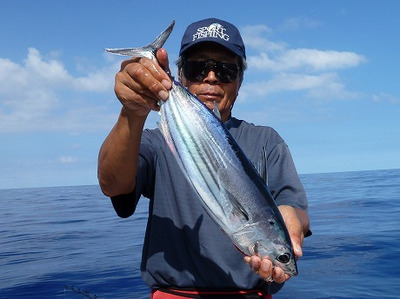 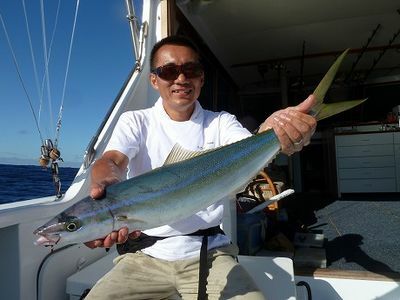 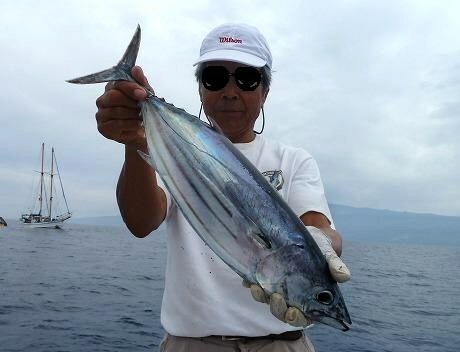 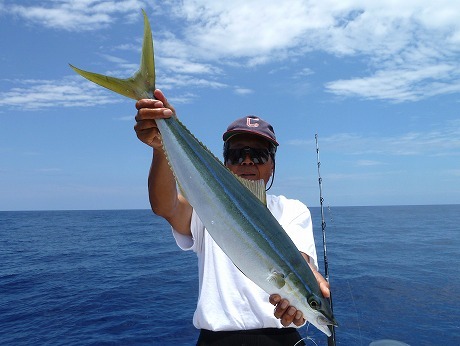 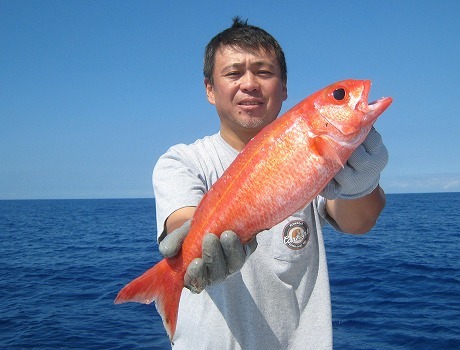 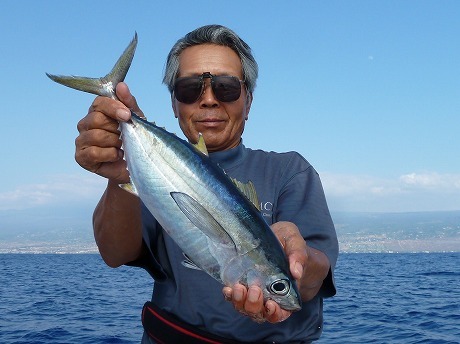 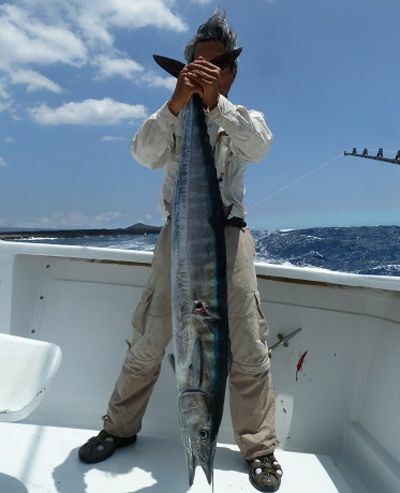 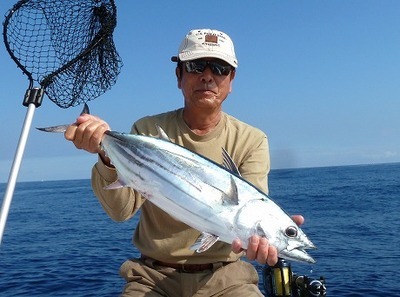 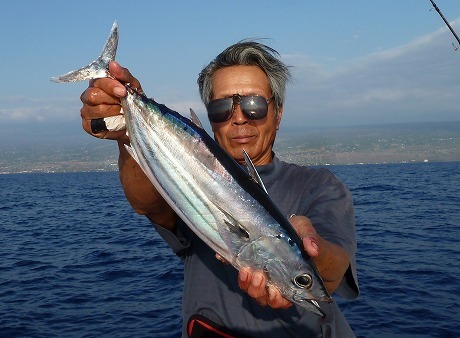 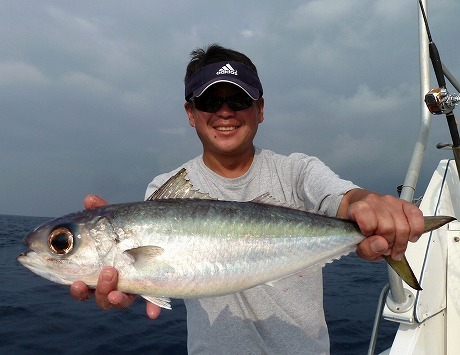 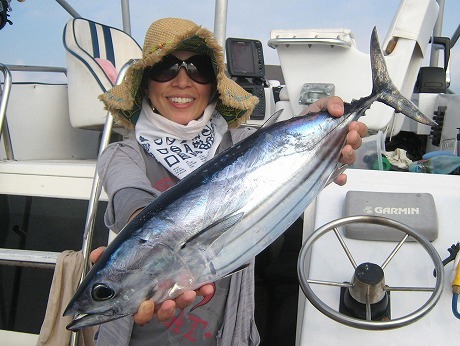 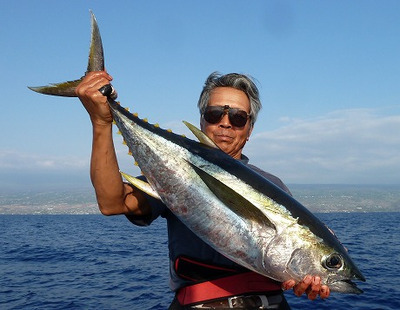 This is the first tuna which Ys-san ever caught. 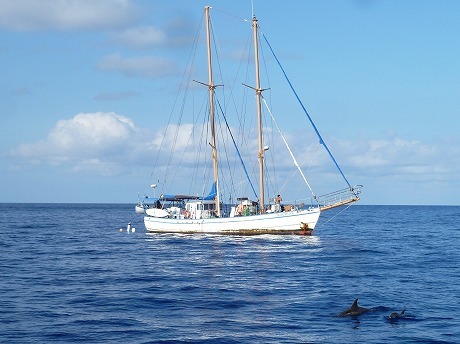 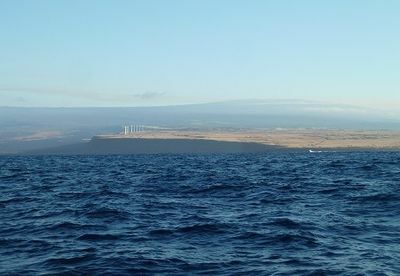 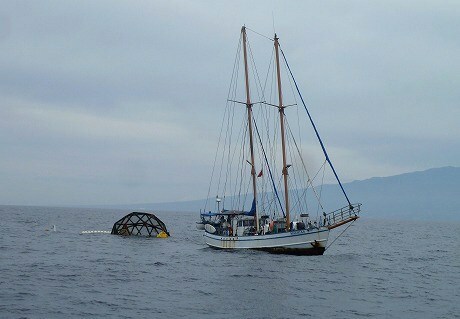 <Sail Boat and the submersible fish penn.